The Hawaii Island Seed Bank is a public seed bank on Hawaii Island. 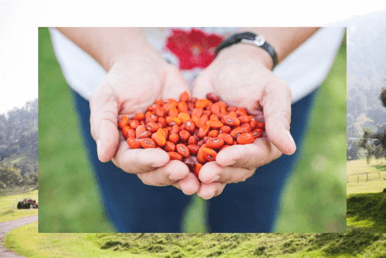 It provides seed banking services for landowners, farmers, growers and agencies. Services include: seed storage, seed cleaning and germination trials for seed collections. It provides storage space for native Hawaiian species and agricultural crops in Hawaii. It is also used as a back-up storage facility for seeds from other seed banks throughout the State. The seed bank provides services that are important for the proper storage of seeds. Seeds are cleaned from their skins or husks and dried to the appropriate moisture levels so they can be packaged and stored either refrigerated or frozen for 1-20 years. The seeds are then databased. The collections are housed in bins that are rented by the partner landowner, organization or agency. 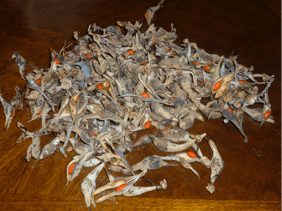 Seed banking is a very important tool for conservation. Saving seeds for the future helps to mitigate projects when unforeseen problems arise such as drought, fire or bad seed collecting years. Partners use their seed for broadcasting seed, performing restoration work, creating living fuel breaks, and conducting research. 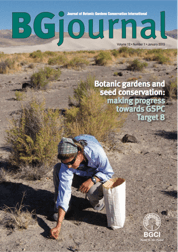 Seed banking provides land managers a stable resource that would otherwise fluctuate on a year to year basis. It also preserves genetic diversity that is critical for healthy species. It is one of the least expensive conservation tools. 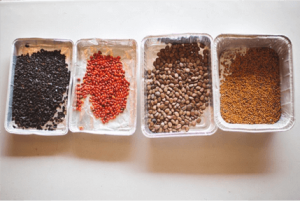 Seeds are small and many seeds can fit in relatively small storage spaces, yet they represent large quantities of plants and many species that will be available in the future. The Hawaii Island Seed Bank was initiated by generous support from the Hawaii Wildfire Management Organization and originally administered by the Hawaii Forest Institute. It is currently a program of Ka ‘Ahahui ‘O Ka Nāhelehele, and has received additional generous support from the State of Hawaii Grant-In-Aid program and from the Dorrance Family Foundation. The Hawaii Island Seed Bank is housed at an off-grid facility in Kona, Hawaii. It’s storage facility is powered by a robust solar system with hydrogen backup. The backup for the hydrogen is a powerful gas generator. Thus, the seeds are in a green building and their temperatures are constant and safe with double power supply backup. There is a modest yearly storage fee for partners. This provides a 2 cubic foot bin for the partner. The partners may deposit as many collections throughout the year as they wish. The storage fee includes drying the in-coming collections to the proper moisture levels for storage, packaging the collections, and databasing. The partners have access to their collections or data at all times. The seeds are solely the property of the depositor. The Hawaii Island Seed Bank was included in an article about seed banks throughout the world. Click this link to see the article (4.6MB). 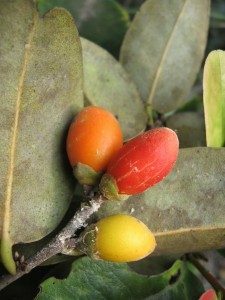 For more information about the Hawaii Island Seed Bank, please email Jill Wagner, project coordinator, at seedbank@drylandforest.org. Photos by Jill Wagner and Tien Austin.